A panel of judges on Friday denied an appeal by the IRS to stop the pro-Israel group Z Street from continuing its lawsuit against the agency for viewpoint discrimination. While the IRS can still appeal the ruling, it moves Z Street closer to the discovery phase of the lawsuit, which the pro-Israel group believes could be damaging for the agency. The IRS has been criticized for its prior stated policy of targeting conservative groups for extra scrutiny during their applications for non-profit status. According to Z Street, the IRS delayed its nonprofit application because the group’s pro-Israel views conflicted with the positions of the Obama administration. A lawyer for Z Street said he was told by an IRS official that the agency had an "Israel Special Policy" that singled out pro-Israel organizations for special examination. "Z STREET looks forward to the discovery phase of litigation in which it will seek to learn the nature and origin of the ‘Israel Special Policy,’ which the IRS applied to Z STREET’s tax exemption application," said Z Street in a statement applauding the court’s decision. "Z STREET will seek to learn how such a policy was created, who created it, who approved it, to whom it was applied, as well as all other information regarding this policy." 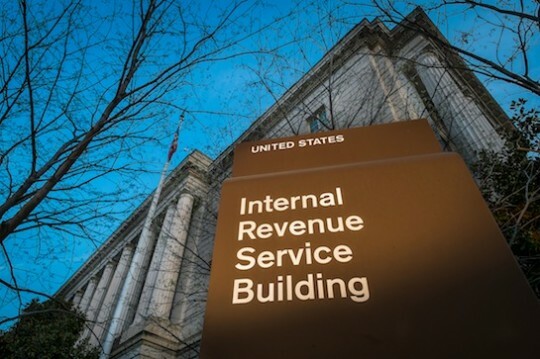 The June 19 D.C. Court of Appeals ruling comes after the panel of judges criticized the IRS for its arguments to throw out the lawsuit during a hearing in May. The agency argued that Z Street was seeking non-profit status, and that this could be remedied outside of court if the group waited for the government-prescribed 270-day period and then petitioned the for an IRS ruling. However, Z Street argued that it was not seeking non-profit status, but rather a fair application process where it was not subject to discriminatory delays because of its positions on Israel. During the hearing, Chief Judge Merrick Garland was highly critical of the IRS’s defense. "You don’t really mean that, right?" said Judge Garland to the IRS attorney. "Because the next couple words would be the IRS is free to discriminate on the basis of viewpoint, religion, race [for 270 days]. You don’t actually think that?" The judge also told the IRS at the time, "we have already decided every issue before us today, against you." While the panel of judges was more subdued in the Friday ruling, it still dismissed the government’s argument against Z Street. According to a copy of last Friday’s ruling, the court found that "Z Street seeks not to restrain ‘the assessment or collection’ of a tax, but rather to obtain relief from unconstitutional delay, the effects of which it is now suffering." During the discovery phase of the lawsuit, Z Street would be able to compel the government to turn over documents related to any "Israel Special Policy." Z Street said in a statement that it "looks forward to using the discovery process to learn more about the precise nature, origin, and effect of this policy, which the D.C. Circuit has now made clear is a violation of essential constitutional rights." This entry was posted in Issues and tagged IRS. Bookmark the permalink.